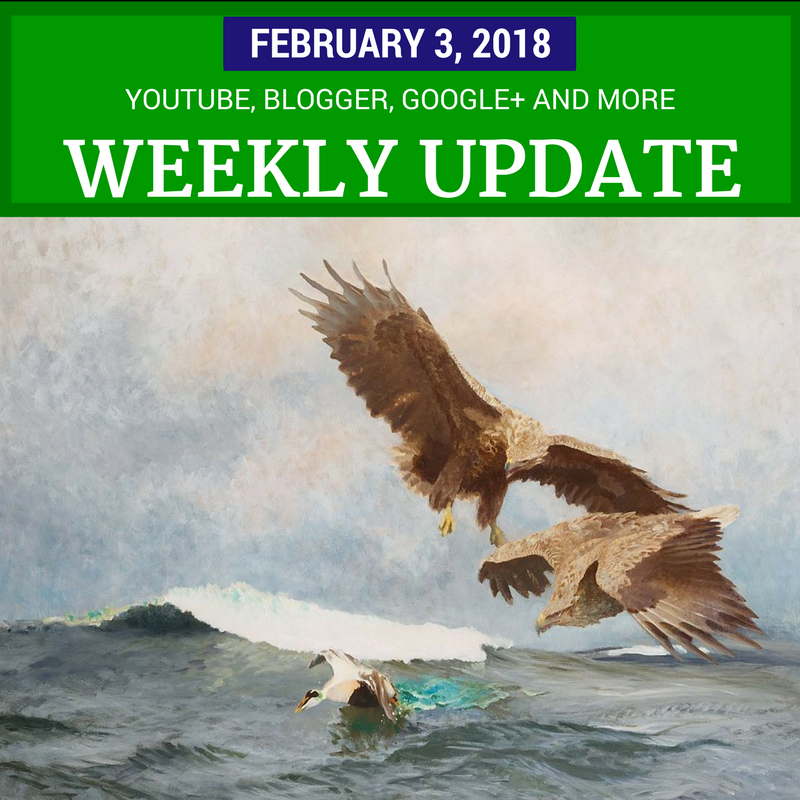 This week we got a glimpse of YouTube’s direction for 2018, Blogger added ads.txt files to blog’s using AdSense, the Google+ iOS app got and update and more. 2017 was a rough year for YouTube. It seemed like there was controversy after controversy, with the result that YouTube tightened up its policies, and it got harder for creators to monetize their content. That’s just one of the issues that Susan Wojcicki says YouTube is working on in her “Five Priorities for Creators in 2018”. Also on her radar: greater transparency and better communication, building more ways to let creators and fans have “meaningful interactions”, tighter policy enforcement, and investing in more educational content. 2018 should be an interesting year. Starting this week, video viewers in the US will see notices on videos by news broadcasters that receive government or public funding. So far I haven’t run into any surprises: BBC News, Russia Today, PBS News Hour, Radio Free Europe all have the notice. But I suppose it’s those news sources I’m not familiar with where the notice would provide some context around the content. And YouTube is going after its “next billion users” by launching the YouTube Go app in more than 130 countries. The app is designed for viewers who may have unreliable internet connections, and lets users download videos for offline viewing and share videos without using any data. It's not earth-shattering, but it's nice that Google+ released an update to the iOS app. Community moderators can now moderate posts in bulk, there is a Google+ widget for the “Today View” and more. Blogger now lets you add an ads.txt file, which lets you list which advertisers are authorized to display ads on your blog. If you have AdSense linked on your blog’s settings tab, Blogger has already added an ads.txt file with that information. You only need to add an ads.txt file manually if you are using ad networks in addition to AdSense, or you don’t have your AdSense account linked to your blog. Danny Sullivan, journalist and current Google’s public search liaison, wrote an article explaining how Google selects featured snippets in search results. The takeaway message seems to be that it’s a complex task to make sure that the one search result that is highlighted above all others is the “right” one or the “best” one. But Google is working to make sure that it’s at least not a bad result. Despite some high profile missteps, it does seem to work pretty well most of the time. Outside the Googleverse, there’s a new live streaming platform called Caffeine. The focus is gaming content, so it’s competing with Twitch and YouTube Gaming. But you can also live stream yourself in talking head “vlog” format. They say their software will make streaming easier, and the built-in social features set it apart from other platforms. It will be interesting to see if it catches on. And finally Facebook is updating its News Feed to prioritize “local news”. Together with the greater emphasis on “meaningful social interactions” with friends and family, I’m seeing a lot less content from Pages in my feed. I think I like the changes so far. I don’t think it’s a coincidence that both Facebook and YouTube are talking about emphasizing “meaningful interactions”. I sense that’s going to be the 2018 theme for social networks, because ultimately that’s what keeps people coming back and staying around. Plus there tips and updates for webmasters, publishers, Gmail and Chrome users, and much more.